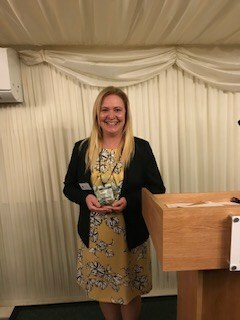 The Silent, a short film by Devon-based production company Lightning Oak, has won at Parliament in the Film The House competition. Film The House is an annual competition run by MPs along with industry professionals, and as well as a screening highlights the importance of intellectual property rights to both creators and MPs. 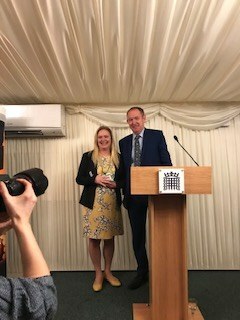 This year’s competition receives parliamentary sponsorship from Rt Hon Sir Kevin Barron MP, Lord Clement-Jones and Rt Hon John Whittingdale OBE MP. The Silent, shot in Teignmouth and telling the story of male domestic abuse, won Best Short Film in the over 16 category. “It was an amazing evening – crammed with industry representatives from Paramount, Lionsgate, SKY and the BBFC and ALCS,” Karen Turner, writer/director of The Silent told D&CFilm. “It is a huge honour and a fantastic showcase for South West films. “The film was made in Teignmouth in Devon using as many local cast and crew as possible with the addition of Star Wars legend and Game of Thrones Actor, Oliver Ford Davies and Oli Meredith from Netflix’s, Safe. 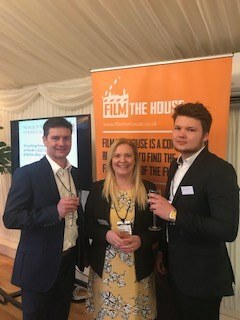 “Held on the terrace of the Houses of Parliament, the Film the House celebrated the leading short films in the UK and to be part of such an amazing event and win was incredible. Upcoming film talent submitted original films and scripts for their local MPs to review, with entries spanning over 70 constituencies. An expert industry panel of leading figures from across Britain’s creative landscape then chose the winners from a shortlist that had been compiled by MPs. The Silent picked up Best Short Film 16 and Over. Here are the other winners for 2019. 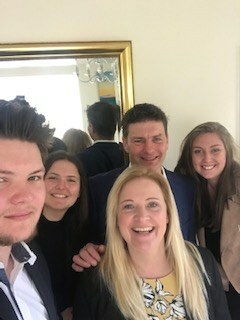 The Silent was supported by Central Devon MP Mel Stride.